Press Release: The application containing all the product information on the new BMW X3 has been available in the App Store since the beginning of December 2010, offering the chance to experience the vehicle via iPad. The application combines the advantages of the classic product catalogue, the website and the interactive possibilities of the iPad. The BMW X3 App not only provides plenty of information and video material, but also gives users the chance to configure their ideal vehicle individually and to order product literature by operating the touchscreen. The highlights of the application also include an interactive 360° view. Customers can also contact BMW directly using an integrated form if they wish to arrange test drives. Using the iPad’s direct links to social media channels such as Facebook, users can post information about the vehicle on their own wall or send their ideal vehicle to friends. With this application, BMW is examining, for the first time, the possibilities that the iPad offers in terms of sales promotion measures and creating a platform for the communication of further vehicle and product literature. 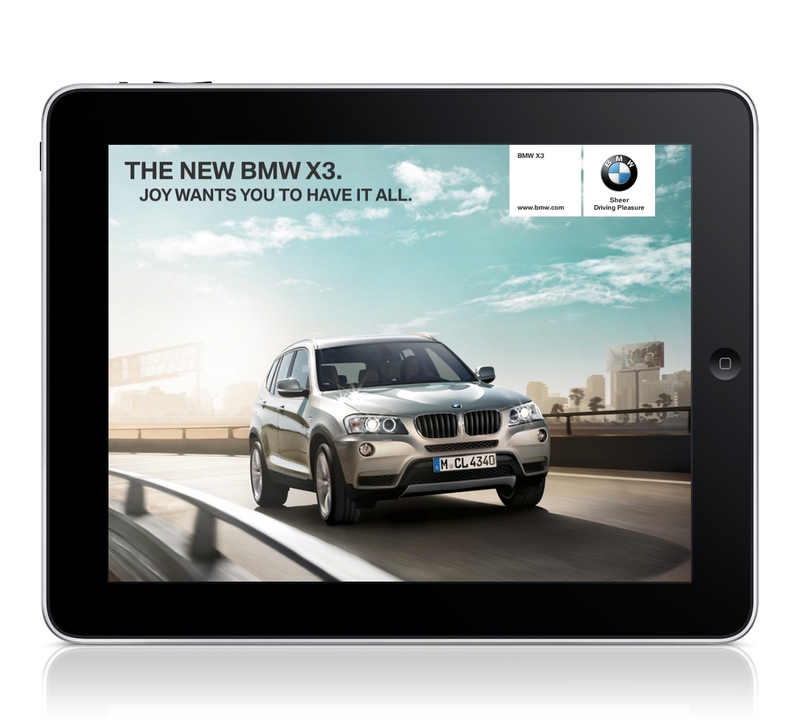 The iPad application is available free of charge at http://itunes.apple.com/app/bmw-x3/id404814453. Further information can be found at www.bmw.com/X3App.